Lights, Locks, Thermostats, and More! 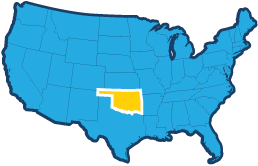 Tulsa Home and Business Security is our focus, providing monitoring with the best monitoring stations in the country and service technicians if needed within 24 hours. Home and Small Business Security is our focus, providing monitoring with the best monitoring stations in the country and service technicians if needed within 24 hours. Witness Security takes your security seriously and has staff available 24/7 to answer any questions that may arise. Your security is of the utmost importance to us. That is why, with over 20 years of experience, you can trust your family and business is secured with the best equipment and people in place ready to respond in a moments notice. #1 Security and Automation Platform in the Industry! 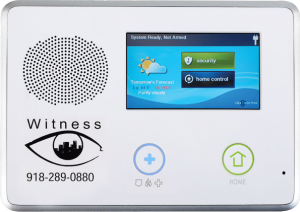 The most impressive, intuitive, color touch screen panel for homes and businesses. Easy to use with the security industry’s most robust feature rich systems on the market today. 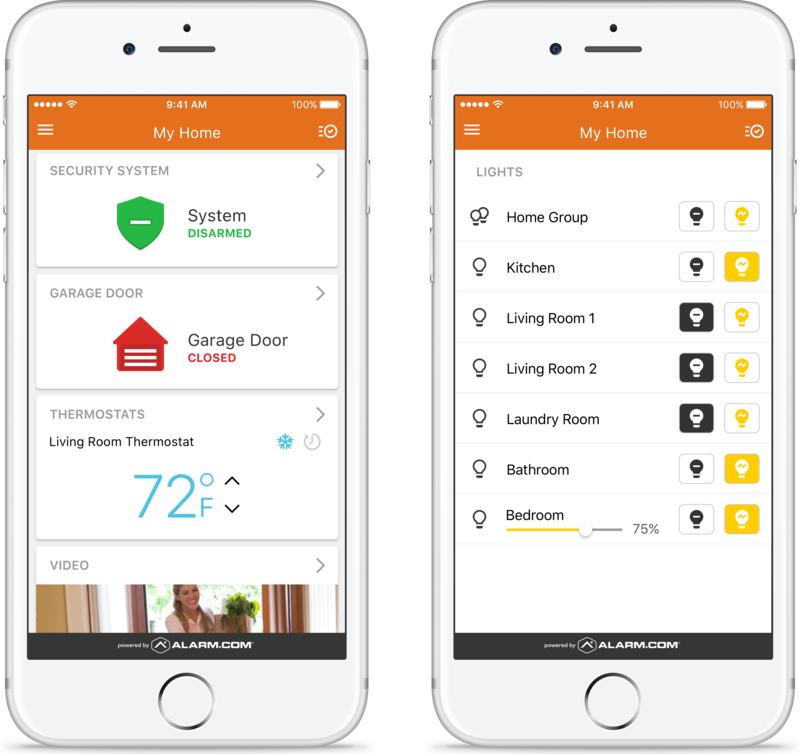 Powerful, user friendly, interactive experience with the Alarm.com app which allows you to easily operate your alarm from your smartphone, and control your locks, lights, thermostats, or your overhead garage door with a push of a button. 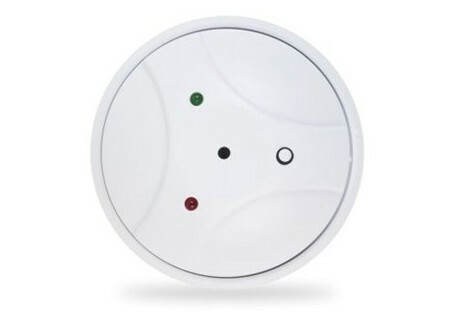 Get notifications every time your security system is armed or disarmed, and get a message reminding you to turn your system on after you leave your house or business. No phone line needed or wifi used. Independent cellular connection included in monitoring plan that can not be cut or compromised. 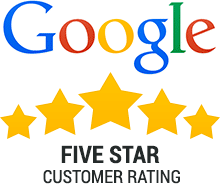 Our Customers stay with us because of our remarkable service and legendary customer support. Independent UL Listed Monitoring Stations networked together across the country. All monitoring stations receive the alarm signals at the same time, maintaining a less than 22 second response on priority alarms, such as burglary, fire, medical. We provide a real technician on call 24/7 to answer any questions or concerns that may arise and respond in the event of emergencies. Security is what we do and peace of mind is what we provide. Advanced interactive control at your fingertips from your smart phone, tablet, laptop, or desktop computer. Keep track of liquor cabinets, gun cabinets, safes, medicine cabinets, files, drawers, closets and more. Receive a text or email instantly when system is armed or disarmed. You will know what’s happening, as it happens. Alerts the monitoring station even if the system is compromised or tampered with. Powerful lithium batteries that last up to 5 years in the event of loss of power if electricity fails. 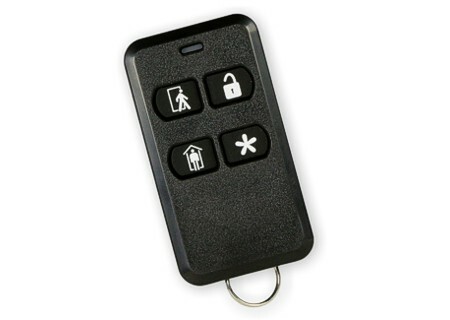 Web login to help easily keep track of your users, and Witness Security can assist you in off-site service if needed. We are always available to help you with password or phone number changes. Our systems can accommodate Fido or Clifford with some professional expertise and know how. For every person you refer that signs up for monitoring, you get a free month of monitoring every year, for as long as they stay monitored with Witness Security. Every insurance company provides a discount for monitored security systems, from 5%-20% depending on the insurance provider. 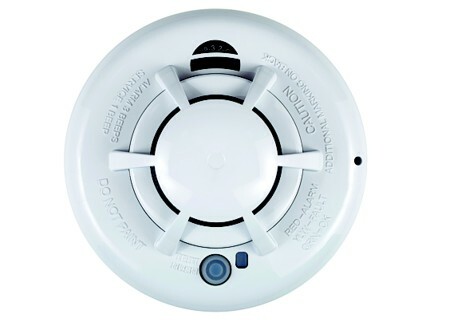 Quick detection of a rise of heat, carbon monoxide, smoke or gas leak provides your family with a secure peace of mind that your family is protected from the deadly mishaps that life turns our way. Just moved into your home and would like to take advantage of the existing system already in place? 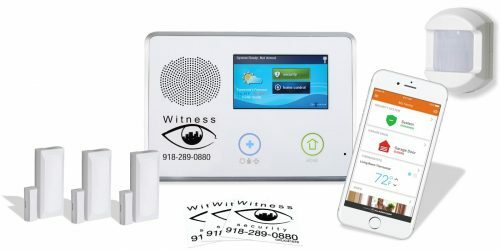 Witness Security uses 2GIG and Honeywell systems and since these types of systems are the most widely used in the Tulsa area, activating them is a fairly simple and inexpensive process. Activating these systems and providing smartphone interactive abilities is simple. We can even add our 100% protection plan to your existing system. Not happy with the service or custom support from your current service provider? Many service providers treat customers as just another number. Not us. Add Cellular Functions to Existing Systems! Intuitive, user-friendly interface is found on the 2GIG GC2 System, providing access when and where you need it via PC and smart phone. 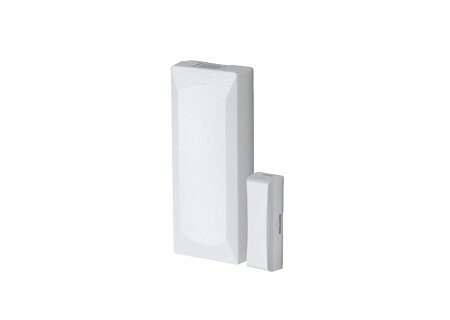 Allows the central station to listen and talk to homeowners when a signal is received. No phone line needed or wifi used. Independent cellular connection included in monitoring rate that can not be cut or compromised. All of your equipment and service charges are covered for only $7.00/month (no trip charges or equipment charges for any failure of equipment due to lightning or batteries) to ensure your system is consistently in working order regardless of how old your system is. I have known Witness Security for three years. Wonderful company, delitful people. They easy to talk to and get along with. I have been a customer going on 3 years. Keith and his crew have been great in all aspects of my security service. No contract and straight forward service. 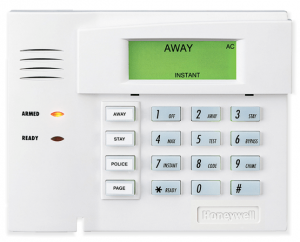 I’ve had a few self caused false alarms and get a call from alarm swerving before I can deactivate alarm! Highly recommend. I have been with witness security for a little under a year now, I couldn’t be happier! Less stress knowing that my family is safe and sound at home! Witness security is the best in town! Great company friendly staff. Someone always answers the phone no matter what time it is. I would recommend them to anyone looking for a great security company. Good local company. Great fast customer service! Tyler arrived when he said he would and completed the work quickly. Highly recommend Witness Security. Our equipment works flawlessly and their response times are excellent. Very knowledgeable staff that takes pride in their work. Kyla is greeeat!! She really helped me to understand what the company offered. The company is very lucky to have such a professional young lady! Witness Security wired our home during construction but we have put off for awhile now installing a system. My husband called them recently to come trouble shoot an issue on our office building security keypad. They came out, quickly fixed the problem and didn’t charge him for the trip! As a plumbing contractor who is always making unpaid trips to jobs he was so thankful to be on the receiving end of that kindness. You have our gratitude and business! Thank you!! We are older folks and we called and received service within 20 minutes. Wow am I impressed, this company really takes care of its customers. This is the best service we have ever received from any service company. Can’t say enough positive things about this company.